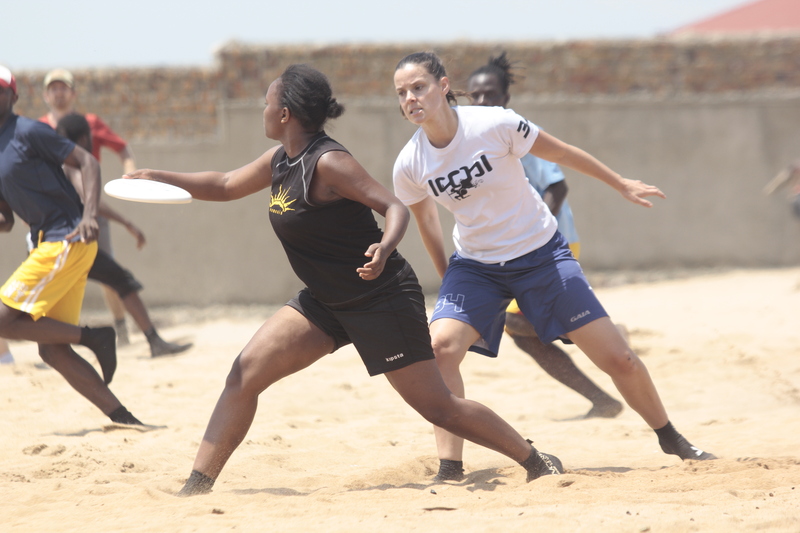 Ultimate in Uganda has been going on over 17 years, estimate about over 60 people play Ultimate in Kampala and another 60 for other clubs around the Country. The game mostly grew in Kampala City, there are two clubs, that’s is to say the Kampala Ultimate Frisbee Club and Makindye Ultimate Frisbee Club however Ultimate is also played in other districts such as Gulu, Masaka, Mbarara(Ishaka) and Fortportal. How has it been training over the winter? Because Uganda is a land locked Country, beach spaces/fields are not very big and it’s about 40 km from Capital city so we have been driving every Sunday morning to train on Sunday so that we can get used to sand condition. And we have been very lucky because January and February have been hot (Sunny) months just to give us feel how it might be in Dubai. How geographically spread out is your team, and how has this affected training? The team isn’t that much geographically spread out, most people live in Kampala, we only had Beach practice training on Sundays where majority of the team were able, so it has not affected the team very much. Have you played any warm up tournaments? It must be tough being relatively distant from other teams? We haven’t played any warm up tournaments in preparation for Worlds. However on the Team Uganda, we have been having several scrimmages against players who are not coming to Worlds. Plus Kampala Ultimate Frisbee club has regular Weekly pickup games, we have been playing just to give us disc related work out. Where does Beach Ultimate fit in relation to ultimate in general? Do you play mostly on sand or grass or both? Uganda Ultimate Team is a grass team. We mostly play on grass but we attend the annual Regional Beach Tournament Frisbee East African Sand Tournament (FEAST). FEAST bringing a lot of good Ultimate Teams from East Africa, We have won FEAST 3 times. Because we are mostly a grass team, we organize Beach training once a month to keep us trained for sand conditions and prepare for FEAST. In 2011 I heard you didn’t make it due to visa issues – it’s great you are able to attend this time – was it easier this time around, more time to prepare for it perhaps? 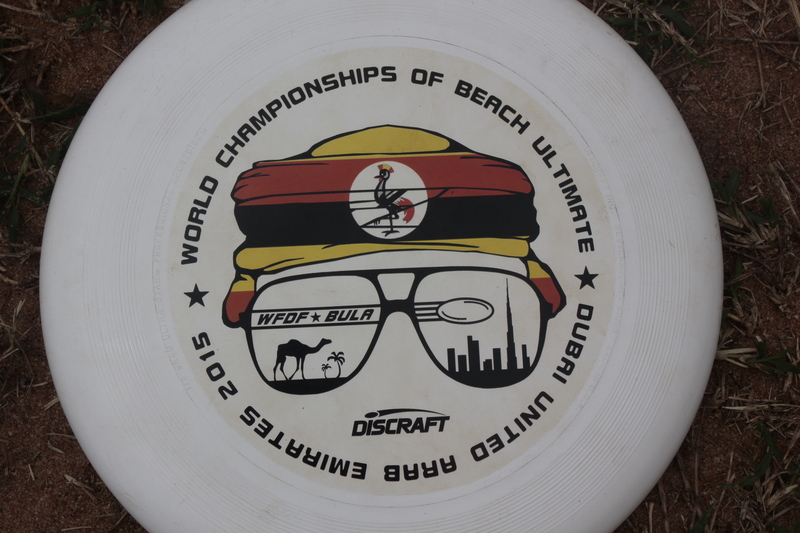 Yes, that is true we missed going to WCBU2011 because of denied visa and also because Ultimate is not an Olympic sport. The Visa consular asked us to get a letter from Italian Olympic committee talking about the championships in Italy. Only then he could have a look at our visa application. Our visa application was considered on merit which means some players would have been denied visa. Yes, this time it has been very easy to get all the paper work in play and have processed group visa! Mostly gain a lot of experience playing at such a high level of Ultimate, A lot of players on the Uganda team have played Ultimate for a while and are very passionate about the sport.This was really exciting news in general and it going to be great getting to compete at such a level. Which teams are you looking forward to playing? If we are taking about being hopeful here obviously we hope to finish in Finals however we are taking it game by game, playing our best, playing with good spirit of the game, learning as much as we can, gain much needed experience playing at such a competitive level. What would you like to add / I should have asked you? We would like to thank the ultimate community around the world who have donated money and support Team Uganda to make it for WCBU2015 in Dubai. We a looking forward to sharing the beach with the world class players and having good time with everyone. Thanks to Double Happiness who have sponsored our sweet Jerseys and Dubai Ultimate for organizing a tournament. Team Uganda really happy and very honored to represent Africa. Team Uganda: We train rain or shine. You are so win, Team Uganda!